Naturopathic care through the use of nontoxic, natural and effective treatments without harmful side effects. I treat the individual based on his/her presentation and tailor the treatment specifically to their needs. 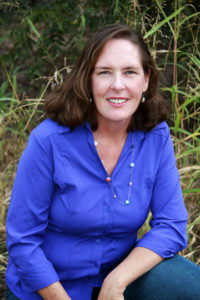 Kris Berkner is a licensed Naturopathic Medical Doctor in the state of Arizona. As a Primary Care doctor who understands that treatment of the individual is key to attaining and maintaining health, she believes that each person has the ability to improve their health. She works directly with patients that have digestive issues, fatigue, brain fog, bone health, weight problems, anxiety and depression, addiction to drugs and alcohol, as well as many other health concerns. Dr. Berkner understands the importance of being healthy as we enter the second stage of life when patients want to be able to enjoy being with grandkids, hiking around the state, working at a job they take pride in, and the many other aspects of aging. To enjoy this stage you must be as healthy, have clarity of mind, and be as active as you can. This can also decrease the chronic diseases associated with “old age” such as heart disease, diabetes, arthritis and dementia. Dr. Berkner has been working with drug and alcohol addiction for years and understands the many layers of addiction and dependence. She realizes that each patient must have help in the physical, mental, emotional and spiritual realms if they want to beat the disease. She understands that the person must be treated as a whole and that the patient is literally in a fight to save their own life. Do No Harm. Naturopathy focuses on treatments and therapies that are free from risks and side effects. The Healing Power of Nature. Natural methods are emphasized as opposed to pharmaceutical and artificial approaches. Treat the Whole Person. A holistic approach is taken to assess all aspects of a patient’s health, including physical, mental, social, environmental, emotional and genetic. Treat the Cause. Rather than managing symptoms, naturopathy addresses the underlying source of the health issue. Preventative Medicine. There is a focus on healthy living that promotes a disease-free body and mind. Doctor as Teacher. Naturopaths value educating their patients so that they can take control of their own health. You want advice from a specialist who is well trained in naturopathic remedies and therapies. You are concerned about the long-term side effects of drugs. You have an uncommon health problem that has many specialists baffled. The drugs you are taking cause side effects that are worse than the original problem. You desire a natural wellness program customized for you. You are curious if the many supplements you are taking are the right combination. It’s part of your healthy life-style. The primary duty of the Board is to protect the public through the regulation of the practice of naturopathic medicine.